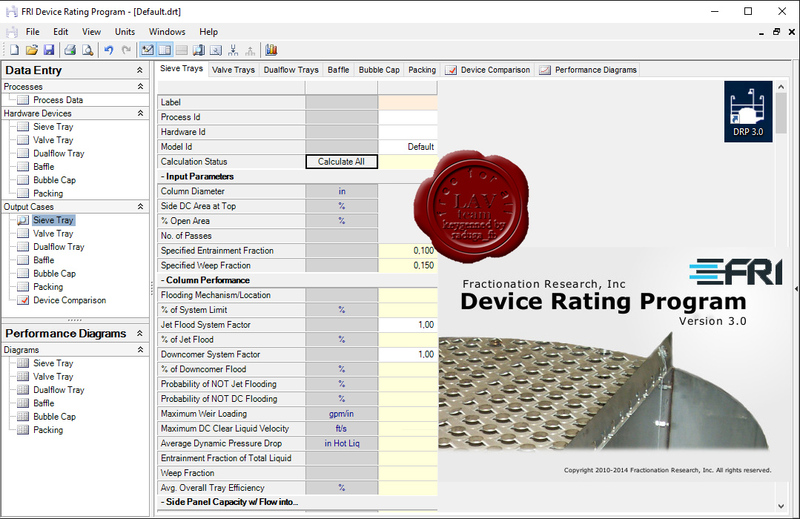 DRP is not a design program for various devices, but is a device rating tool. It should be noted, however, a user with sufficient technical background can use the program as a design tool. 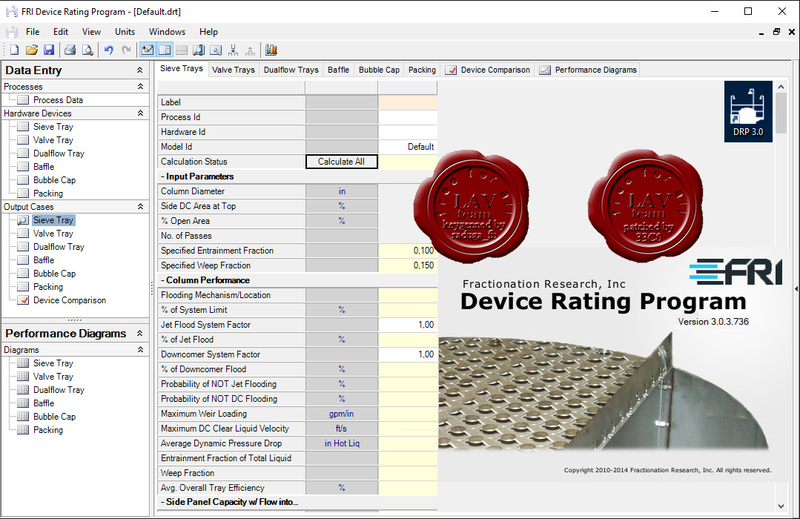 In contrast to the previous FRI rating programs that were either a single device, single process (individual device programs) or single process, multiple device (FRI Tray program), DRP is a multiple process, multiple device program. As such, the users can use a single process stream and rate multiple devices side-by-side, or have multiple processes and rate them with one device and view the results side-by-side. 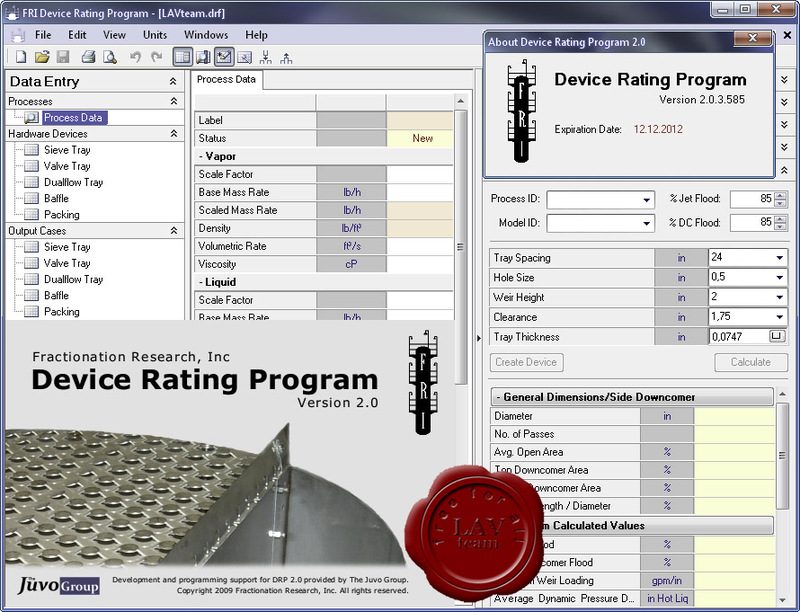 The program allows the user to import input data from various process simulators, using XML format.